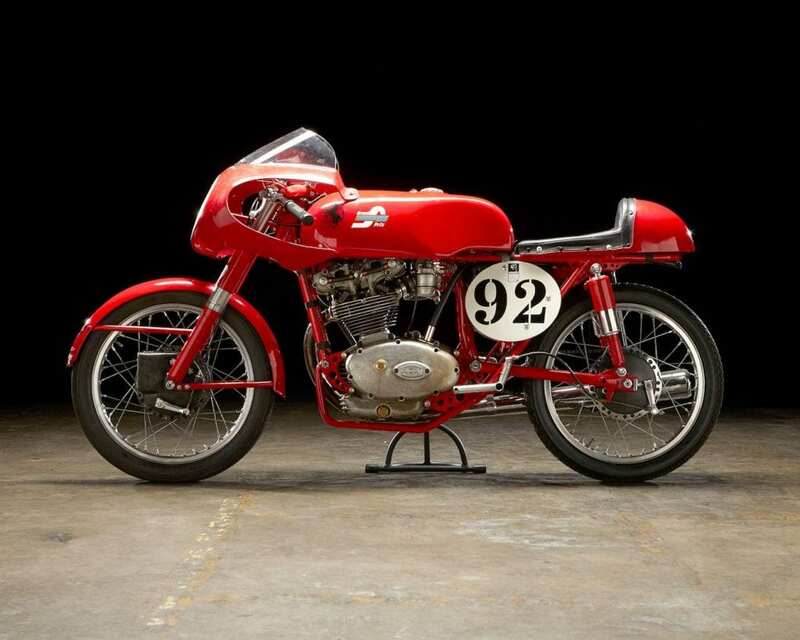 For Ducati collectors, the seventh-annual Bonhams Las Vegas Motorcycle Auction may cause serious heart palpitations. The event, set for Thursday, January 26, at the Rio Casino & Hotel, will offer 38 of the rarest Ducati bikes built from 1948 through 2001, including 125 GP singles, Scramblers, Supersports, and Works Racers. Included in this collection, which should bring in over $1 million, are 15 Ducati motorcycles from the Silverman Museum Racing Collection, a private collection out of California. A few Ducatis from this collection helped the 2013 Bonhams Motorcycle Auction gross over $3.3 million in sales, and was highlighted by an untouched 1978 Ducati NCR that went for $175,500. Besides the 38 Ducatis, other collectable Italian motorcycles will be on the block, including models from MV Agusta, Laverda, Cagiva, Parilla, Benelli, Bimota, Moto Guzzi and more. To register to bid (in person or remotely), order a catalog, or learn more about each lot, visit bonhams.com/vegas.